It is so important to have meals as a family as much as possible. 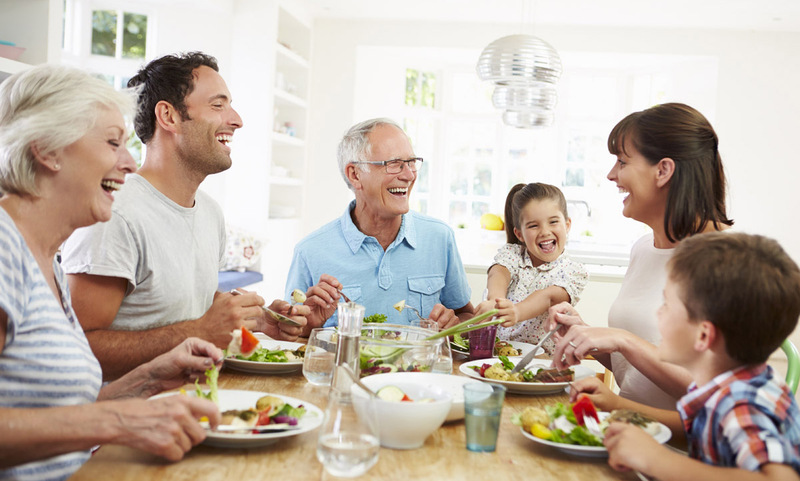 • Conversations during a meal provide opportunities for the family to bond, plan, connect, and learn from one another. Everyone can share information about their days, problems can be discussed, good news can be celebrated and feelings about specific topics can be heard. Family meals foster an environment where people can be heard, where it is safe to ask questions and where the family feels united. • Family meals are also an opportunity to role model table manners and social skills. • Recipes can be discussed, new foods can be tried, discussion about different cultures can taught. • Meals can be prepared together so cooking techniques can be learned. Here are a few ideas to make meals more fun, to create an atmosphere where exchange and dialogue happens and to help everyone express themselves and participate. 1- What did you like most at school today? 2- What story did the teacher read today? What was your favorite character? Why? 3- If you were a teacher, what would you teach the students? 4- If you had a wish for the school, what would it be and why? 2- Whoever uses the word ‘but’ has to do dishes for all! 3- ABC’s of gratitude: Go around the table and each person says something that they are grateful for in order of the alphabet : “Thank you for apple trees, thank you for out new baby sister, I am grateful for the Caterpillar book that I got for my birthday, etc. 4- Name the Tune: Sing or hum popular tunes (without the words) and see who guesses the tune first. Don’t forget to turn off your mobile phones and the television!